If you are looking for an eWallet with a lot of benefits and where you can also store your funds safely, NETELLER is a great choice for you. By signing up with us you will also enjoy way more benefits than a regular customer. We will upgrade your account instantly to silver VIP (after verification), you will have the highest possible transfer and withdrawal limits, you can order a free MasterCard, open a 2nd currency account and of course you will receive our monthly bonus of 0.3% for your outgoing transfers. The following page shows you more details about the benefits with our free eWO Bonus Program compared to regular NETELLER clients. The following tables give you a quick overview about all benefits you have with us. We focus here on the bronze and silver VIP level as eWO clients have much lower requirements to get upgraded and therefore enjoy much lower fees, higher transfer limits and much more. 50.000 USD transfers/year to any merchant. 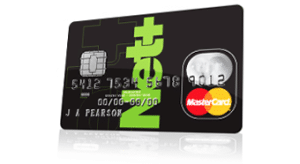 NETELLER also offers a MasterCard for all their customers. The following table gives you a full overview about the fees and limits of the plastic MasterCard for our clients, as well as regular NETELLER clients. All eWO clients can order the card for free. However, since the end of September 2016 NETELLER does not offer MasterCards for residents of NON-SEPA countries any longer. We have summarized all details for you. Besides the fact that those clients are not able to receive a new NETELLER MasterCard, all other services are available. 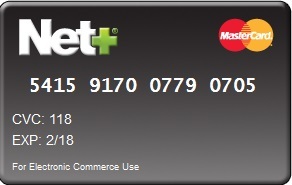 Besides the plastic card, NETELLER also offers a virtual MasterCard to their clients. A virtual card is a really safe way to pay online, as every card can only be used one time and expires after that. However, since the end of September 2016 NETELLER does not offer MasterCards for residents of NON-SEPA countries any longer which also affects the virtual card . We have summarized all details for you. Besides the fact that those clients are not able to receive a new NETELLER MasterCard or use the virtual card, all other services stay available. Check the following table for more information about the differences for regular clients and eWO clients. NETELLER is a great eWallet, but by signing up with us you will enjoy even more benefits and get the most out of your wallet. We upgrade your account to silver VIP instantly after your verification, you will have the highest transfer and withdrawal limits, you will have lower fees, a free MasterCard and you receive our monthly cashback. Make sure to not miss any of those benefits and apply to our free eWO Bonus Program. If you have any questions about NETELLER or our free bonus program, please do not hesitate to contact us . 0.3% Cashback on your Transfers in ADDITION. Additional & personal Support – 365 days a year. Operating since 2010 promoting eWallets like Skrill, ecoPayz and NETELLER, we have become the biggest and most trusted ambassador worldwide. Our clients have the benefit of the highest valued eWallet program on the net while our partners can maximize their network opportunities by advertising eWallets without time commitments. With our internal support team within the eWallet brands and our additional help, we are able to take care of our clients’ issues whenever it is needed. We build trust for the providers we work with and are proud to have the highest satisfaction rate of clients using an eWallet of their choice. 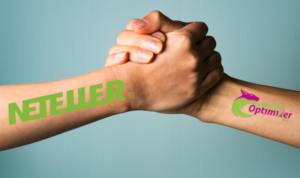 After Skrill made major changes to their verification process, NETELLER is now following with the same system. Starting on the night of Wednesday, April 10th, NETELLER will also replace the old Selfie (Picture with ID card next to the face) with a different one (Selfie holding a paper with date and “NETELLER” written on it). Check all details here. The verification process of Skrill is about to change again in a major way. Starting on April, 3rd 2019 Skrill will replace the old Selfie (Picture with ID card next to the face) with a different one. Find all details about the new process and how you can benefit by signing up with us in our latest news. Skrill recently made a few changes to their fee structures including their money transfer (p2p) fees. During this process the fee for some countries for non-VIP clients was increased. Find all details about it here. It is still possible that the United Kingdom will leave the EU in the near future and therefore we are bringing you an update on the current situation and the impact of the Paysafe Brexit for Skrill merchants and users. Find all information about it in our latest news. Copyright © 2010-2019, eWallet-Optimizer.com. All Rights Reserved. Terms & Conditions.